3 + 4 = Required Please enter the correct value. 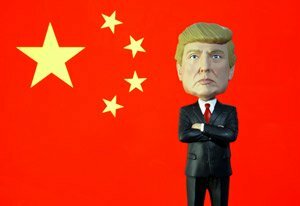 President Donald Trump's tough rhetoric towards Chinese economic practices turned many Wall Street "experts" cautious on Chinese stocks. They feared a possible trade war, and that would not be good for anybody. However, Chinese stocks today look better than they have all year. In fact, the Chinese benchmark stock index, the Shanghai Composite, made a strong technical move this month, breaking through a price ceiling that kept it in check for months. Despite the political climate, Money Morning Director of Technology & Venture Capital Research Michael Robinson has been bullish on Chinese stocks throughout 2016 and 2017. Investors who have followed his advice have already banked gains of 35% this year. Both the media and Wall Street are missing a key fundamental driving China's economy – internal growth, especially on the Internet, untouched by trade. So why was Michael so bullish on China's e-commerce stocks earlier this year, when most other analysts saw trouble ahead? Just about every tech exec he meets emphasizes the importance of China. It's now the world's second-largest economy – and one with a massive shift to urban centers and a rising middle class who are spending a lot of their money while online. Last year, 43 million more Chinese citizens logged onto the web for the first time, according the China Network Information Center. As a result, some 731 million Chinese are now online. That makes China's web population more than double the size of the one we've got here in the United States. And it still has a lot of room for growth. The analysts at Forrester note that online sales, including those from mobile devices, stood at roughly $307 billion in 2014. By 2019, that figure will have more than tripled to $1 trillion. But that doesn't mean you can just pick any Chinese e-commerce stock, buy a few shares, and wait for returns. The strong pessimism on Wall Street concerning these stocks could lead to pullbacks for individual stocks.